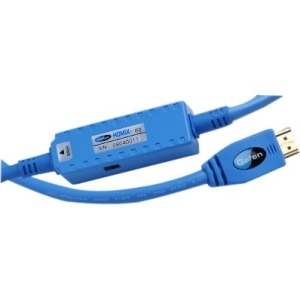 These Fiber Optic based cables for HDMI exceed the Performance of copper and silver cables. HDMI Extreme is an integrated HDMI cable solution which includes fiber optiv cable and elctro-optical components built into the HDMI connector at the endpoints. This cables requires a clearance of 1.42" (36mm) wide conduit.